Durable, Light Weight & Practical That Literally Fits Even In The Glove Compartment Of Your Car. Forget About Flimsy, Cheap or Damaged Hard-Cases Forever! This Is Your Best Choice For Road Trips, Travel, Adventure, Workplace, School And Home. – Convenient in size so you can carry it with you or leave it at home, or in your car. 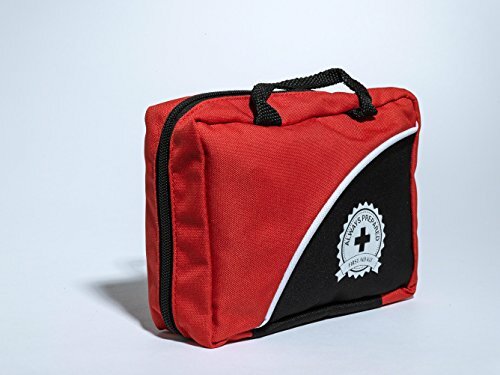 In the unlikely event you don’t like this First-Aid kit, simply contact Always Prepared for a 100% refund, no questions asked. As great reviews keep coming in on these kits, the kits are selling out fast and we’ll soon have to raise the price or run out of stock! So, scroll up to the top of this page an click the orange “Add To Cart” button.